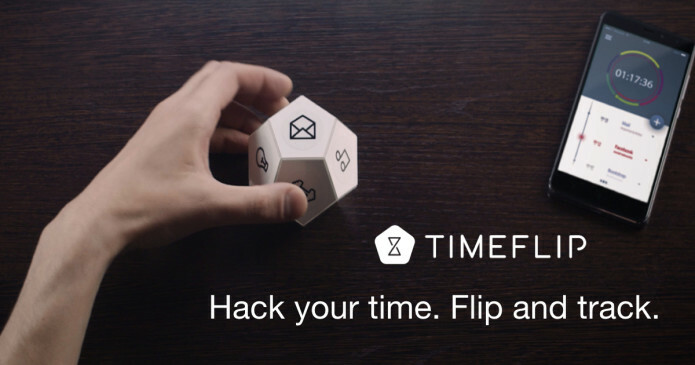 Hack your time! App for iOS and Android. We all want to be productive and successful. But how to make the most of our time? All time statistics is automatically captured by our mobile app and stored in the cloud. Access your statistics through app or web interface to obtain full graphical analysis on your time usage last day, week, month or year. For startup founders and business owners, we offer a simple and efficient tool to analyze productivity in teams, optimize workflow and communication with clients. Includes TimeFlip sensor, mobile app and a foldable plastic case with magnetic anchoring. Currently available in dodecahedron-shaped casing (12 edges). Up to 20% volume discount available for orders of 3, 5 or 10 units and more. Most humans can't estimate time accurate enough. Time spent on plausible/interesting tasks feels to run faster. Automatization of time measurement is essential. Real-time tracking is the key. Software tools provide for poor UX. Software-assisted tracking didn't get far from paper time sheets. It still consumes time and requires attention. How do I write tasks on the sides of TimeFlip? It's very simple - use any non-permanent marker and write directly on the sides of TimeFlip body or on the special stickers that included in Craft and DIY sets. How do I connect tasks to mobile application? 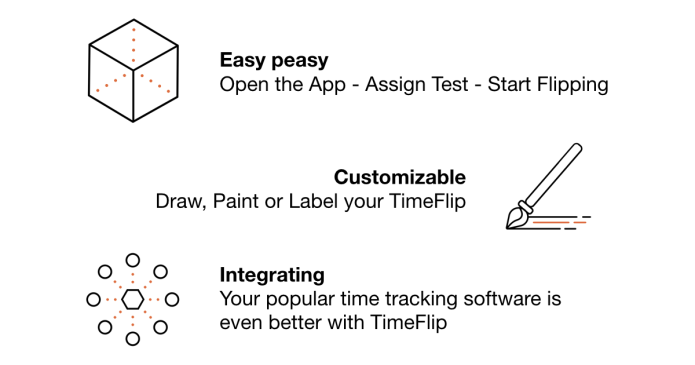 Open the TimeFlip application, in drop-down menu, select the task or create a new one. 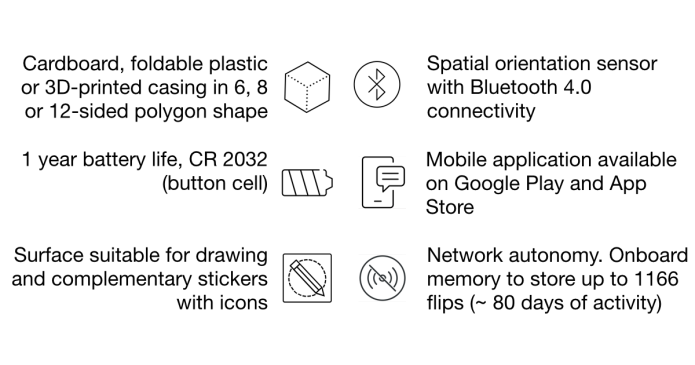 Where do I find the application and how do I know if it supports my smartphone? TimeFlip is compatible with Android and iOS. You can find the app in the AppStore or Google Play using "TimeFlip" in search line. How long does TimeFlip run on one battery? Not less than a year. Our refund policy lasts 30 days. If 30 days have gone by since your purchase, unfortunately, we can’t offer you a refund. To complete your return, we require a receipt or proof of purchase.